Description: The new head of drama at BBC Sidney Newman wants to implement science fiction in an empty 25 minute spot. To produce the new program he promotes his former assistant Verity Lambert, and the young indian Waris Hussein is put into the directors chair - both of them the first of their kind they face numerous challenges in an industry dominated by middle-aged male traditionalists. Made to celebrate the 50th anniversary of Doctor Who, the longest running science fiction on television, BBC has released this dramatised version of the events surrounding the creation of the program up to and including William Hartnell's departure from the series as the first Doctor. Starting in 1963, we're introduced to BBC as a highly traditionalist institution: Our main character is a young woman promoted to a leadership position at a time where such a thing was pretty much unheard of. If you've seen the 50's drama series Mad Men, you know what kind of environment I'm talking about. Middle-aged and Older men in leadership positions who scoff at anyone who doesn't belong to their own group. Her director for the series is the young Indian Waris Hussein, and together they pretty much represent the young generation that would become more and more commercially relevant in these years. Unfortunately the dramatic potential for their struggle to actually put out the series feels very lightly brushed over. 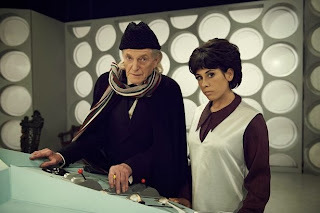 It is touched upon that they would run into a number of problems, departments not taking them seriously, horrid shooting conditions and other such things but instead the movie shifts focus to the actor playing the Doctor and hurries to go over some key moments from the years where Hartnell would have the role. 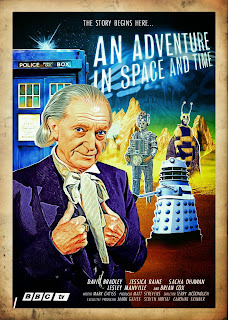 Fortunately they have a very strong actor actually portraying the late Hartnell in the form of David Bradley. Most people will remember Bradley from prominent role as the nasty janitor Argus Filch at Hogwarts in the Harry Potter films or his supporting cast role as the perverted Walder Frey in the HBO fantasy series Game of Thrones. Both are very off-putting characters and it only speaks to the man's talent how polarizing his portrayal of Hartnell is to the others. He shows definite, strong and believable range here not seen very often even among the most famous of actors. I expect even non-Doctor Who fans will find something to enjoy in his performance, because while the movie definitely plays on it's role as "The film we're watching until the 50th anniversary special" it also more than stands it's ground as being a well-written dokudrama about the major changes the sudden rise of awareness from companies on the teenagers and kids audiences would have on business practices and programmes. 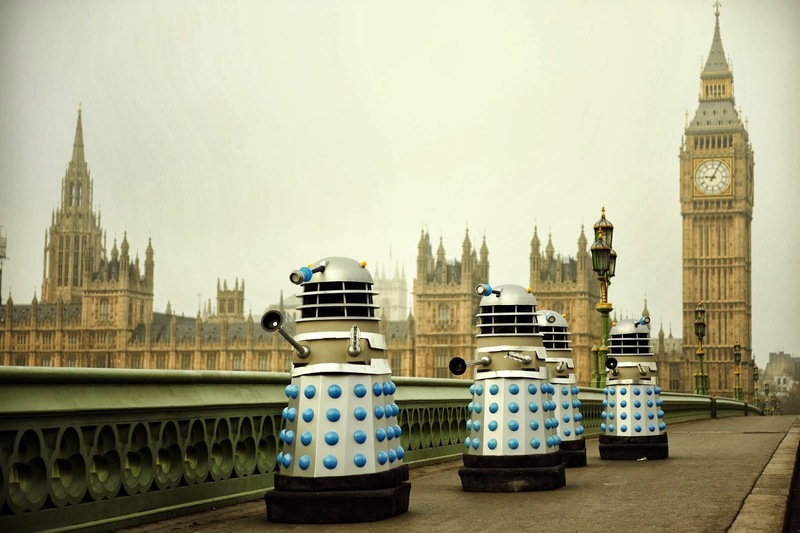 Being an insightful story about the creation of that wonderful alien in his big blue box aside, it is overall very well-done period drama for fans and non-fans alike. 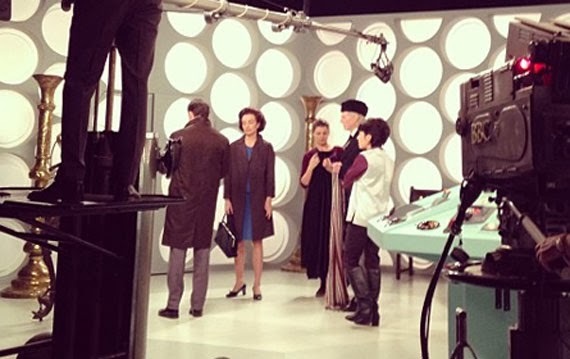 Everything shot on the set looks like you could have travelled back in time to the era it took place, and of course it has nods to some of the most iconic villains and aspects of the show. Between heartbreaking moments, really good acting and just a good story this is was a treat to watch all the way through.